The name 'Fen's Ruby' is a bit misleading since neither the flowers nor the leaves are actually red. New spring leaves start out plum colored, but very soon fade to bluish green; while late spring & early summer blooms are greenish yellow. The flowers for the species are nearly green & don't show well as separate from the foliage, but for 'Fen's Ruby' are showier & yellower, aging to deeper yellow or even orangish. 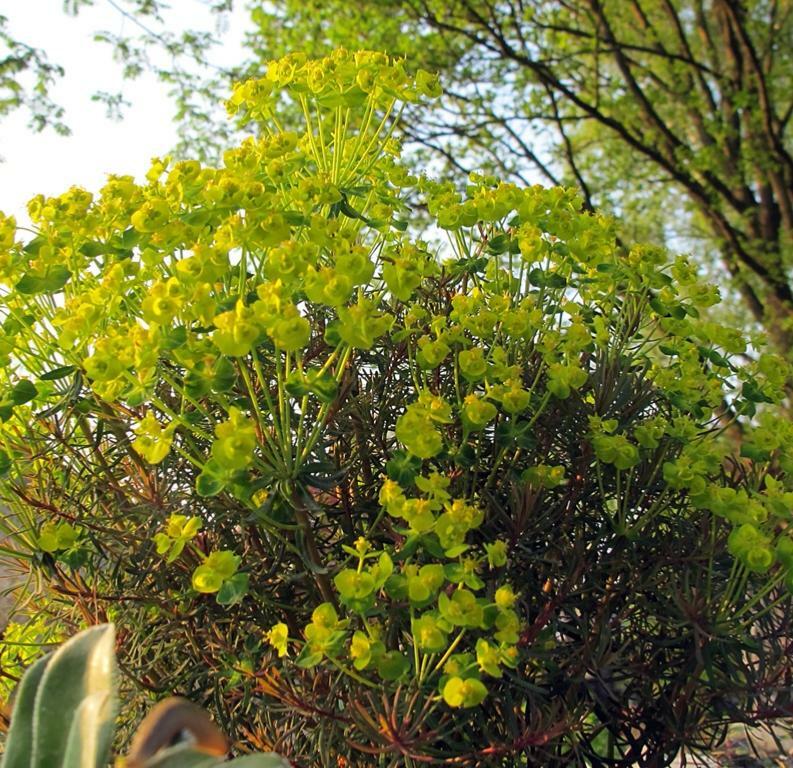 The thready leaves are much finer than on other euphorbias. 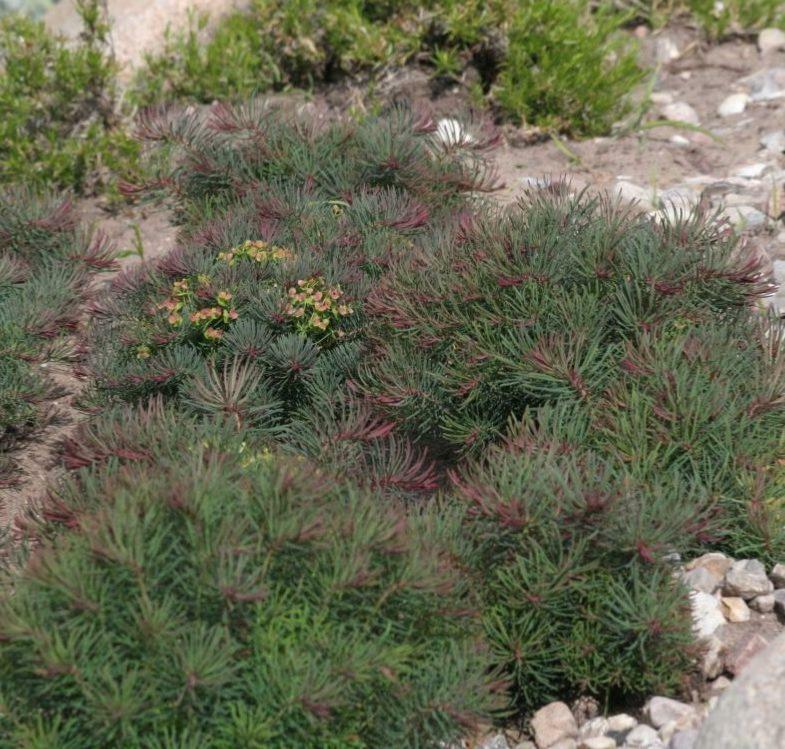 'Fen's Ruby' has finer leaves even than the species. 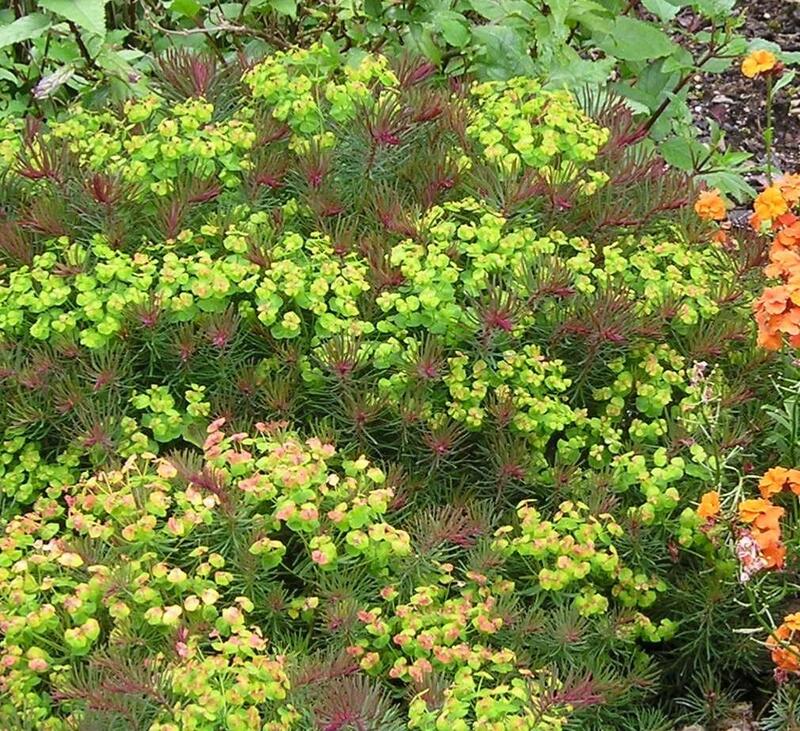 It scarsely looks like a euphorbia except for the flowers, but is a softly clumping little perennial, a ferny or almost fluffy groundcover for partial to full sun in a low-maintenance garden. 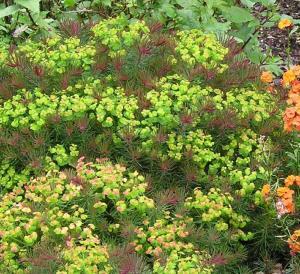 It will even grow in rocky compacted soil.It is colorful in autumn, the leaves taking on orange hues. It will die-back into the ground in winter, returning early in spring from its extremely hardy rhizomes.